In 1997 the Auxiliary officially had its name changed from Canadian Marine Rescue Auxiliary to Canadian Coast Guard Auxiliary. 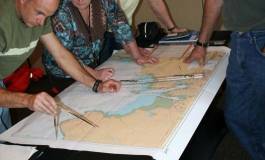 With hundreds of thousands of miles of coastline around Canada and a limited number of government search and rescue facilities there has been a steady reliance upon volunteer services to assist those in distress at sea. Often, in the past, valuable time was wasted by those co-ordinating a search and attempting to contact willing volunteers who were properly equipped or knowledgeable to assist in Search and Rescue (SAR). No mechanism was available to compensate these volunteers for expended fuel, wear, nor tear to their vessels nor to insure them or their boats while rendering assistance to others. To address some of these shortcomings, in 1978 concerned mariners in various parts of Canada met with the Canadian Coast Guard and agreed to form themselves into five associations, one in each Coast Guard Region. 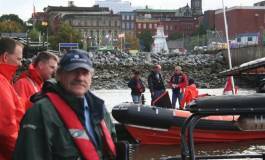 Each association or Canadian Marine Rescue Auxiliary, then signed a contract in the fall of that year with the CCG, Maritimes signing in December. This concept of an independent corporate body with a contract to provide Search and Rescue services allows the Coast Guard to provide training, insurance, and compensation to CMRA members without losing their volunteer status. 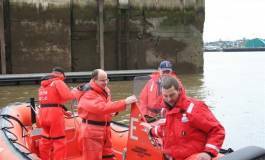 Auxiliary members are not government employees and are under no more compulsion than any other vessel owner to assist in Search & Rescue as required under the Canada Shipping Act, but because of their participation in the CMRA details such as name, phone numbers, type of vessel and location are readily available to the Rescue Centre. This greatly reduces response time to SAR incidents in areas far removed from other rescue resources at a cost far below that of deploying a full time SAR vessel and crew at the many localities served by the CMRA. With signing of the contract between the CMRA, Maritimes and the Coast Guard in December of 1978, the newly incorporated Auxiliary, often referred to informally as the Coast Guard Auxiliary, existed only on paper, its sole membership being the President, Mr. John E. S. Briggs of Mahone Bay, N.S. and three Directors, Commodore W. P. Hayes of Oakland, N.S., Vice-President, Mr. John A. Harwood of Halifax, N.S., Secretary- Treasurer and Peter Mellish of Summerside, P.E. I. Two Coast Guard Officers were appointed, one as Cordinator Jim Cormier and the other as a Training Officer Joe Murphy to look after the day-to-day business and running of the Auxiliary. By the end of 1979 the original six CMRA units had been established, the first at Summerside, P.E.I., followed by Pictou, N.S., Bridgewater, N.S., Baddeck, N.S., Alder Point, Cape Breton, N. S., and in the Magdelen Islands, P.Q. Membership stood at 48 and CMRA vessels performed approximately 20 rescues. In 1980 there was little progress in the way of expansion. Mr. Harwood replaced Mr. Briggs as President and annual meetings began with the other CMRA associations to discuss common goals, problems, and progress. In 1981 the pace of expansion accelerated and the Auxiliary´s membership surpassed the 100 mark. Mr. Harwood was succeeded as President by Mr. Leo MacDonald of Halifax. 1982 brought close to eight CMRA resolved SAR incidents. Units were added in various parts of the Maritimes but notably on the Bay of Chaleur, the St. John River and the Eastern Shore of Nova Scotia. Enrolment, by the end of 1982 reached 160 members in twenty units. These local groups called units are made up of fishermen and/or yachtsmen from one or more local communities who organize themselves in an area for volunteer rescue work with their own vessels, chose a leader, undergo SAR training, First Aid Courses, exercises and the like, then decide on how to put themselves best at the disposal of the Rescue Centre. In May 1983, Mr. Charles R. Clarke of Pictou assumed the Presidency. By this time the Auxiliary embraced twenty-five units operating out of almost fifty fishing wharves, marinas, yacht clubs, and private docks around the Maritimes. 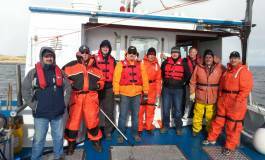 Over 200 fishermen and yachtsmen actively assisted providing SAR coverage for their fellow mariners in distress. In that season the Auxiliary composed of 68% fishermen and 32% pleasure boaters responded to 160 calls for assistance from people on the water. A number of these credited the CMRA with having saved lives of those in distress. By the Spring of 1984, the Auxiliary´s numbers had expanded to over 300 with over 40 units sailing out of more than 60 wharves. A Committee of Unit Leaders was formed and their recommendations approved to divide the Region into 15 zones, enabling improved membership representation on the Board. By the end of December 1984, the membership in the Maritimes Region CMRA increased to over 450 with 359 vessels based at 98 wharves. 81.3% are fishing vessels reflecting the characteristics of the mariners around the coastal waters of the Maritimes. The first part time employee (our Secretary) was hired for the CMRA during this time. . In 1987 Rescue Challenge Competitions was initiated. George Lohnes became President March 1989 until September of 1993. George enhanced revisions to the By-Laws, Standing Orders. In September of 1993 Gary Masson assumed the role as President until 1998 and in August of 1998, Gary was employed as the Regional Business Manager for the CCGA Maritimes. Gary had the Rescue Challenge Competitions reinstated in 1996. The Auxiliary started to take on a more active and independent role in looking after their own affairs in both Administration and SAR Prevention. 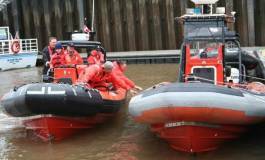 In 1997 the Auxiliary officially had its name changed from Canadian Marine Rescue Auxiliary to Canadian Coast Guard Auxiliary. The Prevention Program was greatly enhanced under Gary´s direction. In 1997 the first full time employee position was created. Funding was applied and received under the New SAR Initiative Program for SAR equipment of which First Aid Kits, Strobe Lights, Floater Suits and SAR Pumps were received. 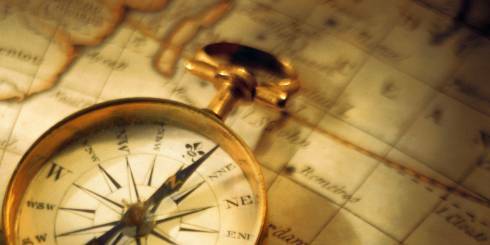 A Business Plan was created and implemented, putting project managers in charge of different aspects of the Auxiliary. In August of 1998, Frank McLaughlin took on the role of Acting/President until elections were held during the AGM in Saint John, N. B. on March of 1999, at which time Frank was elected as the President of the Auxiliary. As the organization has grown, the CCGA-M now resides at 103-900 Windmill Road, Dartmouth, Nova Scotia in the regional office serving the dedicated volunteers of the Maritime Region.